Access Motuara Island, a haven for some of New Zealand’s most vulnerable bird life. 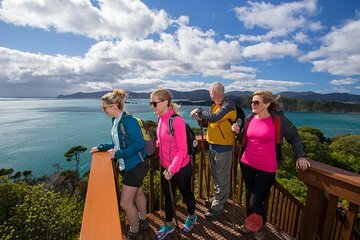 Enjoy a boat ride from Picton through the Marlborough Sounds with live commentary on board, then explore the island on your own. Look for rare birds (and well-known native favorites), see native bush flourishing, and relish the peace of the island.